GopherHawk is now available at Standley Feed & Seed! 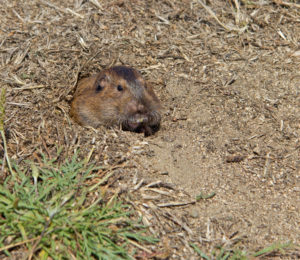 Don’t let gophers and moles wreak havoc on your lawn or property. Trap undergrund rodents efficiently and without digging! Simple to use, the GopherHawk is a trapping system that intersects a gopher’s tunnel from above ground. Perfect for homeowners or professionals, this effective tool does not require the use of a shovel, or digging up part of your yard to set the trap. Located above ground, the indicator can be recognized from a distance, so there is no confusion when checking your traps. Using a three-tool system makes it simple for anyone to eliminate the problem of borrowing rodents. This entry was posted on Friday, December 28th, 2018 at 6:23 pm	and is filed under News & Updates. You can follow any responses to this entry through the RSS 2.0 feed. Both comments and pings are currently closed.